I know, I know… the British gave us many good things in the past… like slavery and pollution and the invasions of Australia, North America, India, Africa, etc. But what have they done for us lately? This – The British Library iPad App! The British Library released more than 1,000 rare books in the form of a single app for the iPad last week. The titles of the books are searchable, but the individual items are viewed as high-resolution scans. The works are drawn from the library’s 19th-century collection and load individually from the network when you touch one to read it. I just downloaded this wonderful copy of “The Memorable Battle Of Waterloo” by Christopher Kelly Esq. from 1817. Check out the first couple of pages as an example of how high res the scans are! I recently interviewed Alison Castle about this Kubrick Napoleon book but I haven’t uploaded it yet, as I’m waiting to interview Jan Harlan. In the meantime, I hope you’ll enjoy this video. 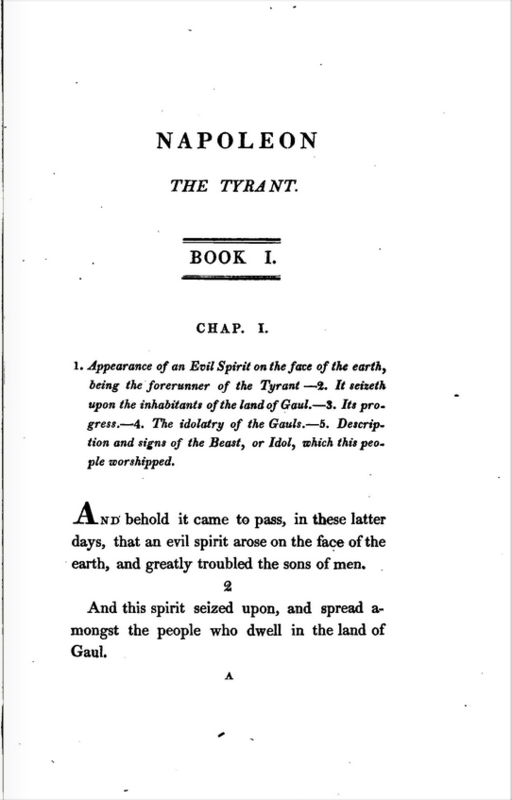 I just discovered this terrific short online book by John Tarttelin that acknowledges that David and I have been saying for years – Napoleon’s wars against the other European powers were, for the most part, defensive. Read it here.